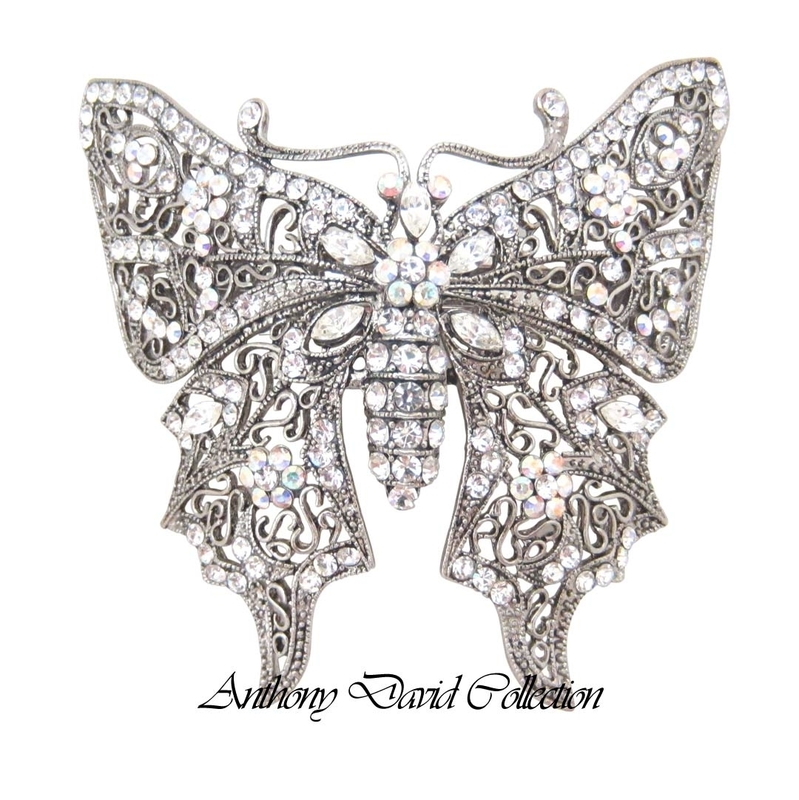 This Anthony David butterfly hair clip is encrusted with both clear and the stunning iridescent Aurora Borealis Swarovski crystals. 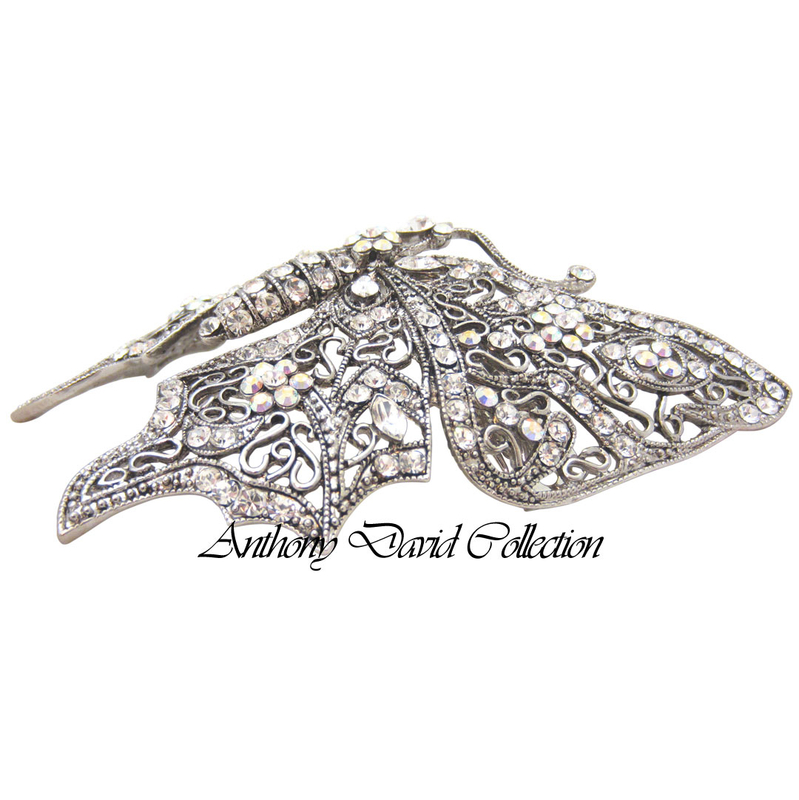 The butterfly is one of our more popular hair accessories as it exudes the most luxurious sparkle and glamorous design! If you love our hair accessories, then you are going to simply adore our hand selected collection of unique Swarovski crystallized bracelets. Covered with clear and Aurora Borealis Swarovski crystals. Gift box and cover pouch included. 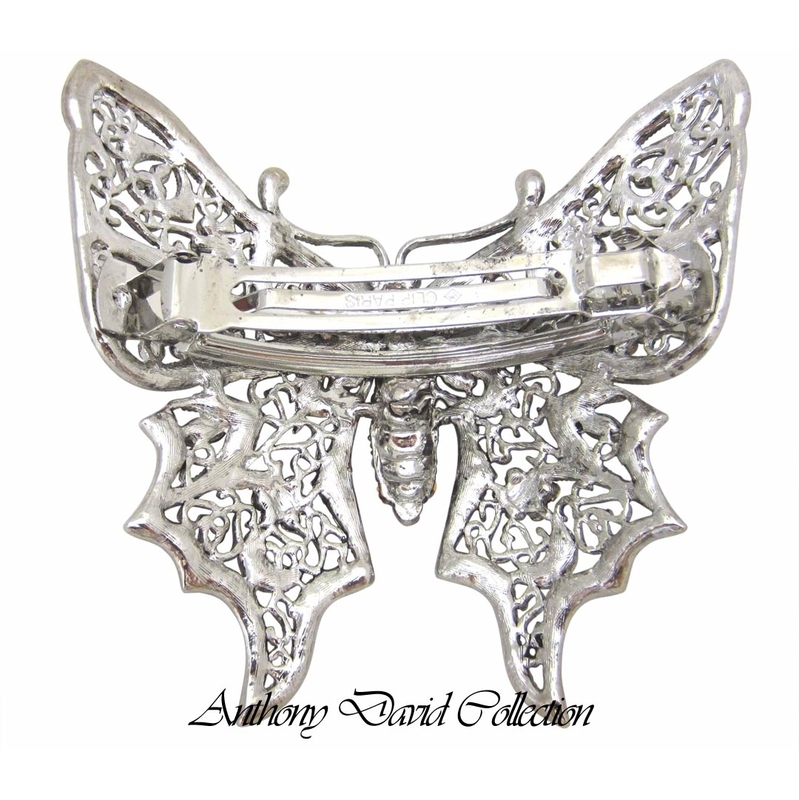 Anthony David crystal hair barrettes are available in many styles and colors.